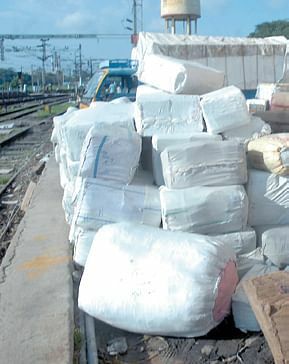 Processing of parcels containing fish has been pushed to the backyards of the Central Railway Station, following complaints from passengers of unbearable stench caused due to mishandling of perishable goods. Earlier, fish parcels were strewn at various locations inside the station, causing inconvenience to commuters. Railway sources said specific areas had been earmarked at a few platforms for loading and unloading fish parcels and an officer had been deputed to monitor the same. The Central railway station is a major transit point for shipment of inland and sea fish in the South through trains. While fish procured from Kasimedu is sent to Kerala, sea fish from the West Coast is being brought to Chennai and ferried to West Bengal. On an average, the Central Station handles 200 boxes of fish, each comprising 50 kg to 70 kg of consumable fish. “The move, which came into force a few months ago, has evoked appreciation from rail users,” Govindasamy, station manager of Chennai Central, claimed.